If you regularly stop by this website, you know we like to work with music minds we respect. The same can be said of our events, and this year at CMJ we're pulling the “friend card” once again. As we announced earlier this week, we're teaming up with our east coast brethren TerrorEyes and The Needle Drop to bring you a free, all ages show at Shea Stadium. 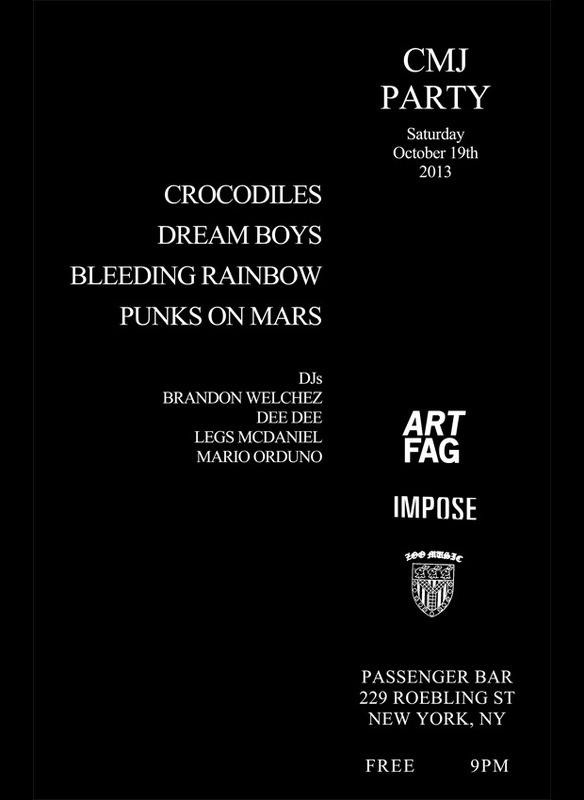 Now we're turning our attention to the west by throwing another party with our pals from Art Fag and Zoo Music at Passenger Bar. It's Free. It's a Saturday. No excuses. No apologies. RSVP at the bottom for updates and details.